While in Broome, we were lucky enough to have some super generous caravan neighbours. Upon hearing that I was vegan (after declining on some fresh fish they had caught), one of them popped over with a couple of papayas for us. How cool is that? I don’t have a heap of experience with papayas, and truth be told I find the flavour a little bland so I decided I’d have to make something with it. We had seen lots of Thai papaya salads around Darwin, but these were too ripe for that. 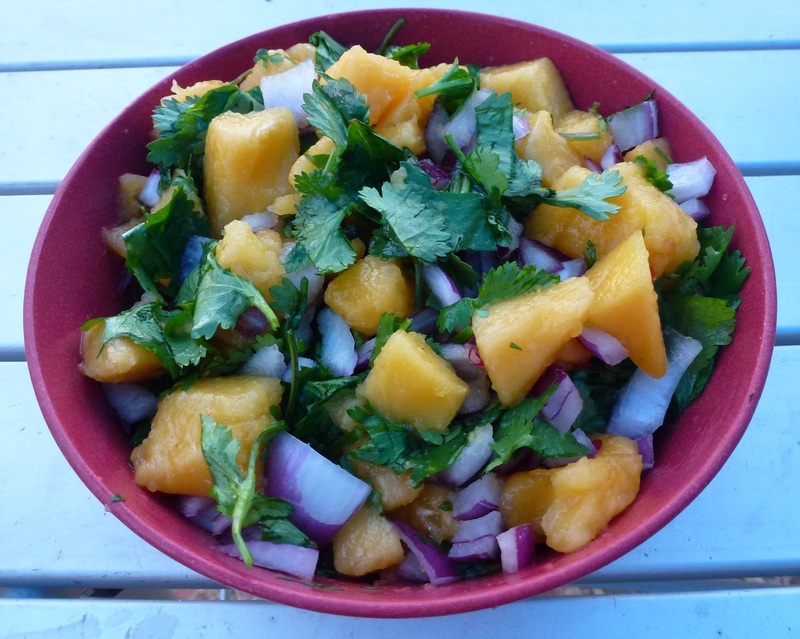 Instead, I decided to do a very quick and simple papaya salsa to have with some beans in tacos. The flavours are simple and fresh, perfect for dinner on a warm night. Place all ingredients in a bowl and stir well to combine. Taste for seasoning. Refrigerate until ready to serve. Yum!!! Thank you for sharing this recipe. I never know what to do with papaya! This looks good enough to go out and buy one! Thanks Laura! We had three papayas all up, so we also put it in tropical smoothies with banana and pineapple, though it’s more a filler than a flavour. this looks great, I also find papaya to be a bit bland! Thanks 🙂 Yes it’s a strange fruit…I guess as a child I’d only ever had dried paw paw which is obviously super sweet, so I probably expected there to be more flavour to it because of that. How lovely of them – I would love some fresh papayas right now! It’s hard to find them here in Oregon besides it’s our cold wintery season. 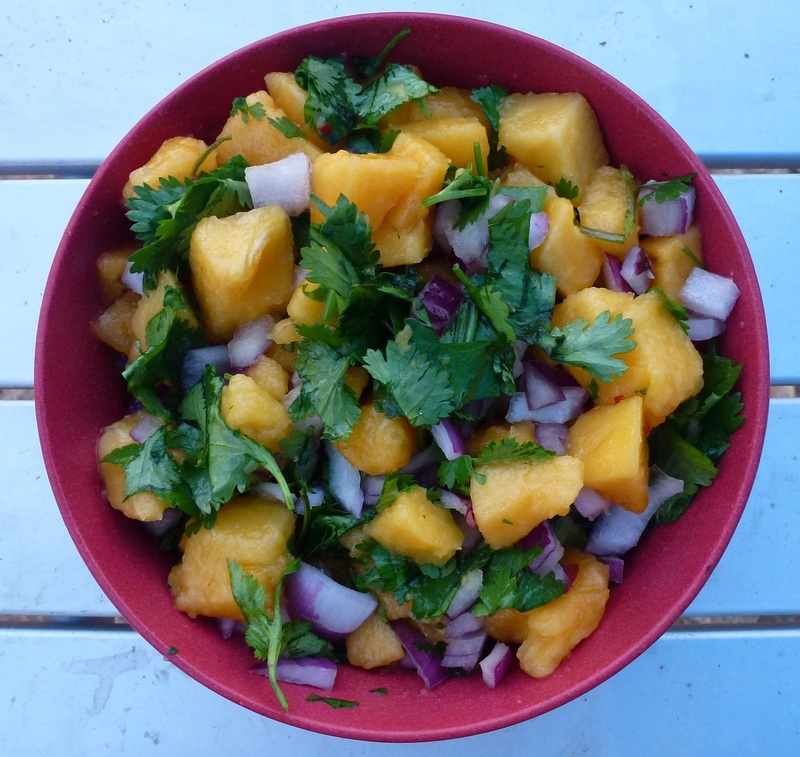 I’m not a fan of fruit salsa, but don’t mind loads of seasoning & coriander & red onions (I bet that one is tasty! ), but I had a mango guacamole in Mexico City which was pretty interesting. Mango guacamole?! That sounds interesting. I’m not the biggest mango fan, but then again I never used to like avocados either and now I can’t get enough. I might have to give this guacamole a go!